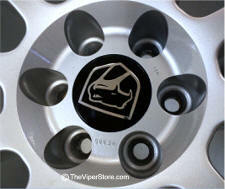 TW-WHTLET4 Dodge Viper (1992-02) 'White Letters' for your tires. 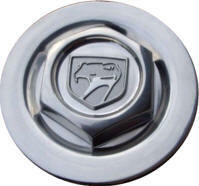 Stock center wheel cap is a factory replacement part. Snaps on to stock wheel. Replacement wheel centers CNC machined from aircraft 6061 - T6 Aluminum, available in polished plain domed or polished domed with Viper text. Wheel center caps come with safety rings to insure they do not come out of the wheel. 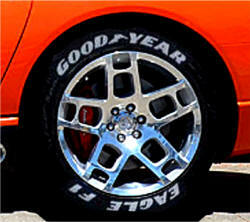 Looking to change over to 18'-20" aftermarket wheels on your Gen 1 or 2 Viper? 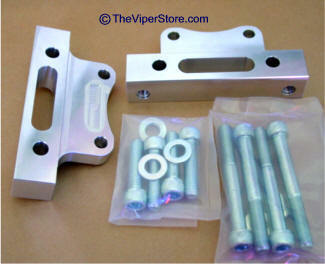 You will need this brake bracket Kit. 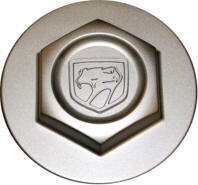 Requiring SRT10 front and rear calipers and SRT10 14" front rotors require 5/16" thick wheel spacers and ET Lug nuts. SRT10 Calipers and Rotors not included. Looking to put 18", 19" or 20" Aftermarket Wheels on? 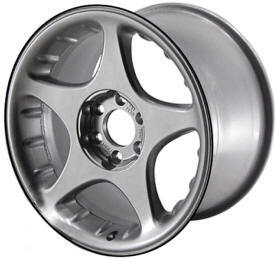 HOL-2118 Viper Generation II Refinished Factory Front or Rear Wheel. 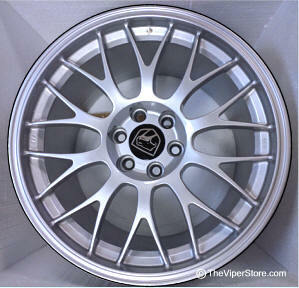 Factory Original Brand NEW High Polished Aluminum Viper Wheels. Center wheel caps are not included. Does not include lug nuts. 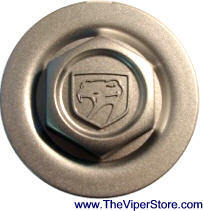 Caps are available as well - see top of this page. *Note: We can chrome your wheels as well. We can get you these chromed as well. Complete Set of all 4 wheels. 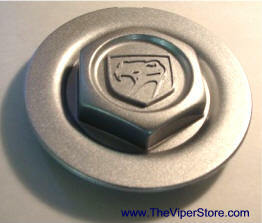 Viper GTS (2000-2002) ACR Generation II (Like New Condition) Factory Wheel. Factory Original Brand NEW condition Aluminum Viper 18" Wheels. Fronts 10" x 18" and Rear 13" x 18". 6 x 4.5 Bolt Pattern. Center factory wheel caps are NOT included. Pictures above of actual wheels. They are flawless. for set of 4 wheels. 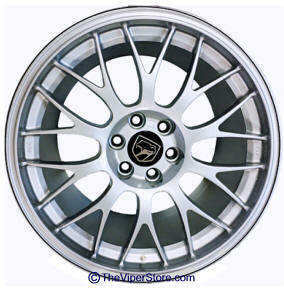 Factory Original Refurbished like new High Polished Aluminum Viper 17" x 10" Front and 17" x 13" rear Wheels. Center wheel caps are not included. Star wheels. Yes offer a Chrome Service - Call for details. Note: No Longer Available New. Please include: year of car, model, VIN, and number of wheels desired. each wheel has its own part number. 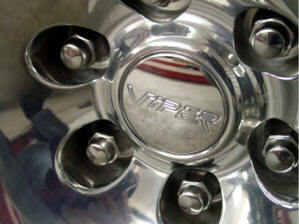 Viper Generation I RT-10 (1992-94) & (1995) Refinished Factory Wheel. Factory Original Brand NEW Aluminum Viper Wheels painted silver. 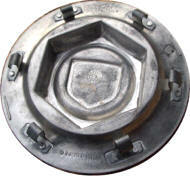 Bolt pattern 6 x 4.5, 17inch. *1995 Rear Wheels are no longer made. We can get the caps see top of this page. 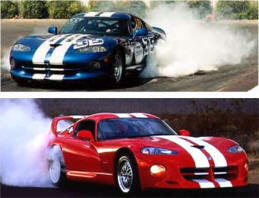 Yes - we carry ALL Brands of tires for these Vipers. Call us for your specific needs. 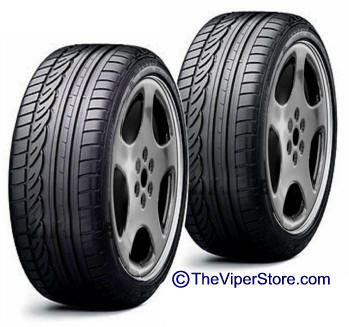 - Looking for all weather tire? 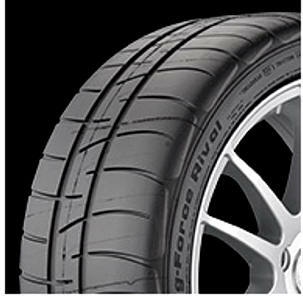 - Looking for a racing or track tire? - Looking for as close to stock as you can get? 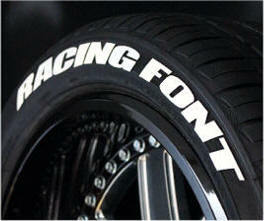 - Certain brand, aspect size or tire pattern? 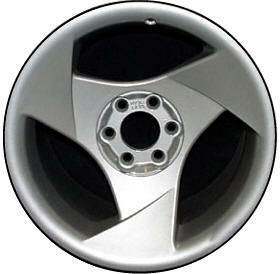 If you are having trouble ordering online: Please call us at 352 688 8160 ± $ 79.95* for 2 or 4 tires. *Certain zip codes can cost more ship to.